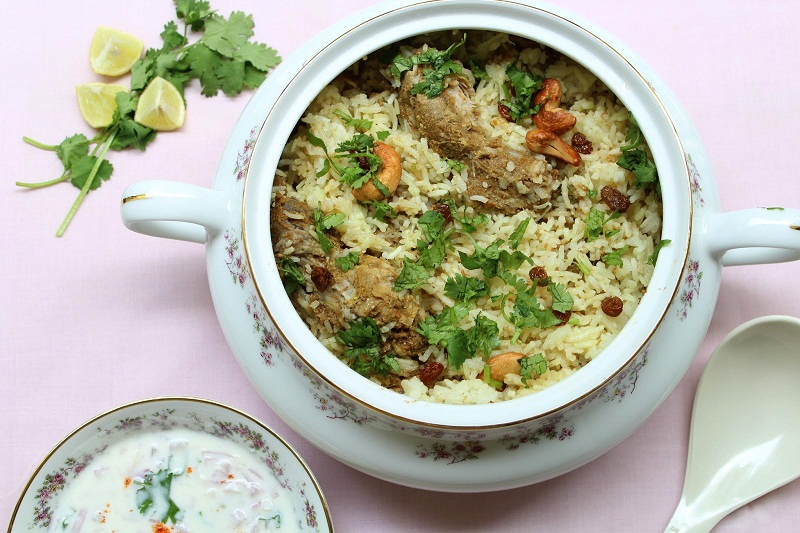 Let’s admit it, the delicious debate between Lucknowi and Hyderabadi Biryani will never see an end. And that’s why we have decided to take things up a notch and tease your taste buds a little more. How you wonder? Well, you know about Lucknow ki jaan aur Hyderabad ki shaan, their delectable biryanis, but have you ever heard about/tasted any other biryani aside from these two? Let’s get to know our country’s biryanis variant, their history and what makes them so extraordinary. Origin: The cooks from the Sindh province of our neighbouring country have always been known for their reputation for making fiery hot dishes that goes back to the 10th century, which is why it's not surprising that the biryani hailing from Sindh is considered the most spicy of all. Ingredients: Fortune Biryani Special Basmati Rice, goat meat, coriander, chillies, fresh mint, roasted spices, dry fruit and nuts, onion rings for garnishing. Factfully yours: Spicier than other biryanis, the proportion of masala in the rice is slightly more than of other biryanis. What sets it apart: Use of potatoes! Origin: It’s said to have evolved from the Lucknowi biryani, when Awadh’s last Nawab was exiled to Kolkata and wanted his cook to tag along. Unlike him, the poorer households of Kolkata couldn’t afford meat so they used potatoes instead. Since then potatoes have been an important ingredient along with meat. Ingredients: Fortune Biryani Special Basmati Rice, chicken, potatoes, curd, red chilli powder, turmeric powder, onions, ginger, garlic, green chillies, black cardamom, green cardamom, cinnamon stick, cloves, saffron, milk, rose and kewra water, salt and ghee. 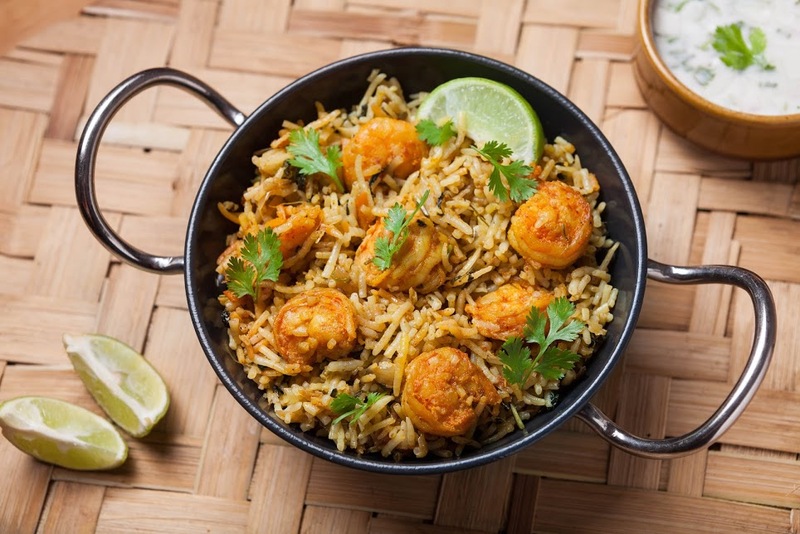 Factfully yours: Slightly sweet in taste and much milder in spices, this biryani can also be layered with juicy meat/fish and soft-boiled eggs. Origin: Named after Ambur, a small town near Vellore, this dish came into existence while South India was under the rule of the Nawab of Arcot. Now it is largely popular in Tamil Nadu. Ingredients: Fortune Biryani Special Basmati Rice, chicken, onions, tomatoes, green chillies, ginger–garlic paste, mint leaves, coriander leaves, turmeric powder, red chilli powder, coriander powder, yogurt, salt to taste, cooking oil, cloves, cinnamon stick, bay leaf, star anise, green cardamom, lemon juice. Factfully yours: This biryani can be cooked with both chicken and mutton, and is served with 'dalcha', a sour brinjal curry or raita. What sets it apart: Instead of meat, veggies are used. Origin: This veggie delight is an Awadhi preparation which was invented in Uttar Pradesh as an alternate for Brahmins who didn’t eat meat. Hence, they cooked a vegetarian variety of biryani to please their palates. 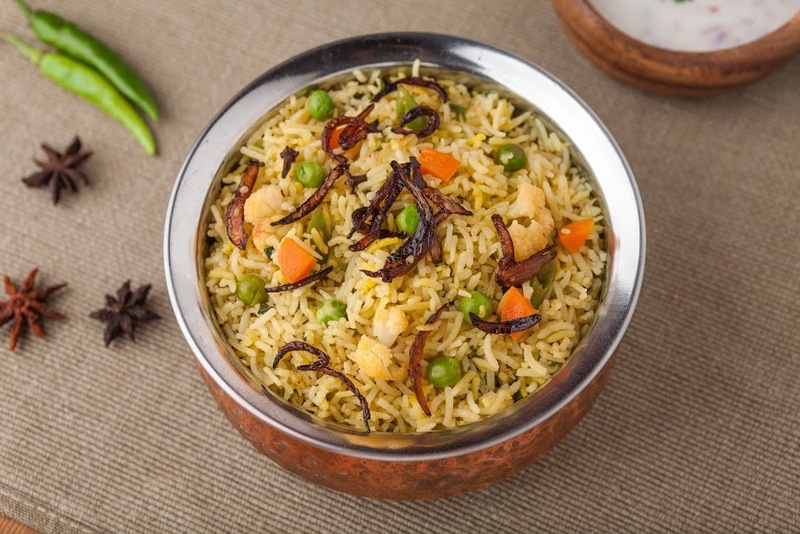 Ingredients: Fortune Biryani Special Basmati Rice, potatoes, onion, tomato, peas, ghee/oil for frying. Factfully yours: Perfect for lunch or dinner, the method of preparation is almost similar to that of pulao but the dum cooking technique is what sets it apart. What sets it apart: Interestingly, deep-fried meat and chicken wings are used. 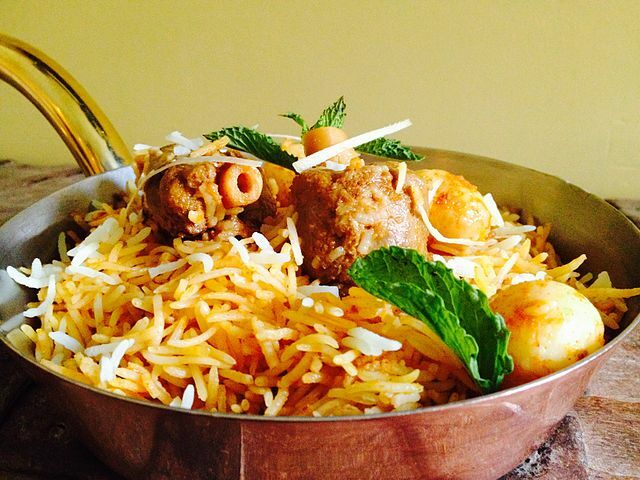 Origin: Kerala's famous biryani recipe is believed to have come to this region because of the influence of the Muslim rulers of Mysore and Arcot back in the day. Ingredients: Fortune Biryani Special Basmati Rice (steamed), chicken wings, turmeric, other mild spices and fresh coriander, cardamom and cloves, ginger, garlic, garam masala, cashew nuts and raisins. Factfully yours: Along with the traditional accompaniment i.e. a tart lime pickle, the rice used for this mouth-watering delicacy is slightly different from the usual long grain basmati. What sets it apart: The fiery taste of red chillies and sweet taste of sautéed onions mix. 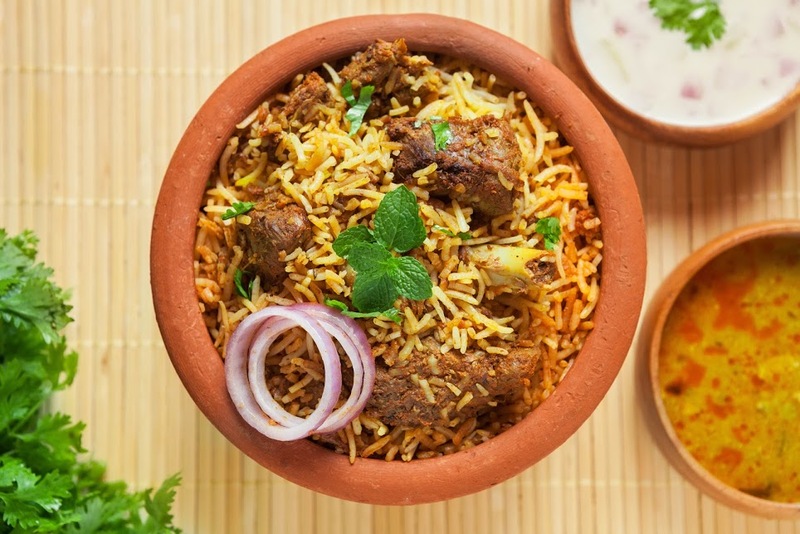 Origin: Originally from the Muslim community of Bhatkal town in coastal Karnataka, this biryani has a very distinct taste compared to all the other biryanis we have talked about so far. Factfully yours: One can add mutton, fish, chicken, shrimp and loads of onions to this biryani. 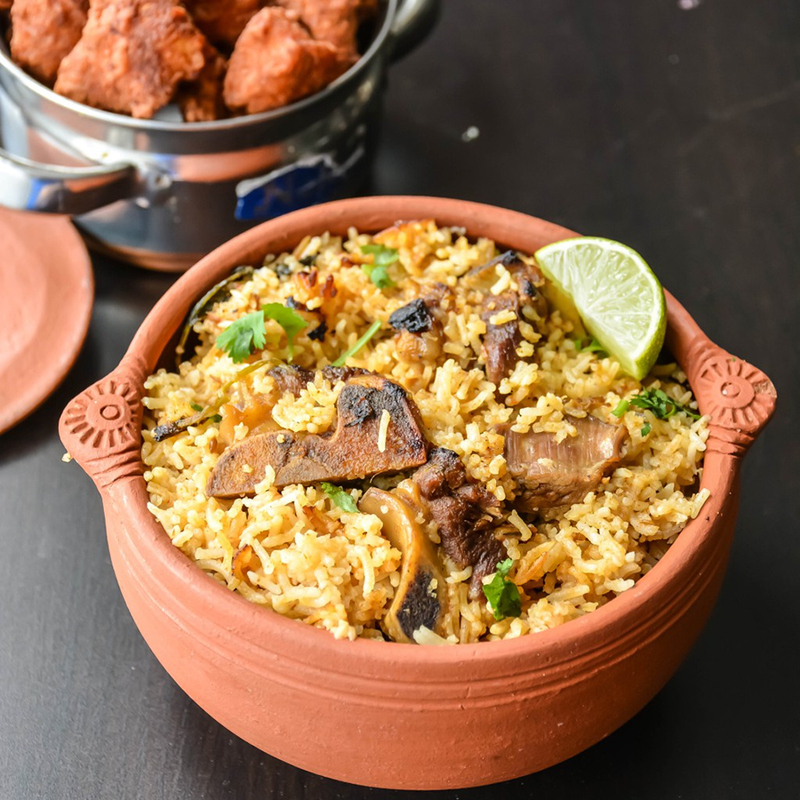 The rice and chicken infused with masalas and sautéed onions give this preparation a spicy and a heady flavour thus setting it apart from the rest. Origin: Hailing from the Beary Muslim community of Dakshina Kannada of India, this cuisine is prepared during any major celebration. Factfully yours: Light and mildly spicy in taste, this easy-to-digest biryani is more flavourful if the rice is marinated in the ghee and spice mixture overnight. Finally, you can serve it with some chicken kebabs and raita. Mouth watered yet? Then let’s get cooking. Time to dish out yummy biryanis this month what say! 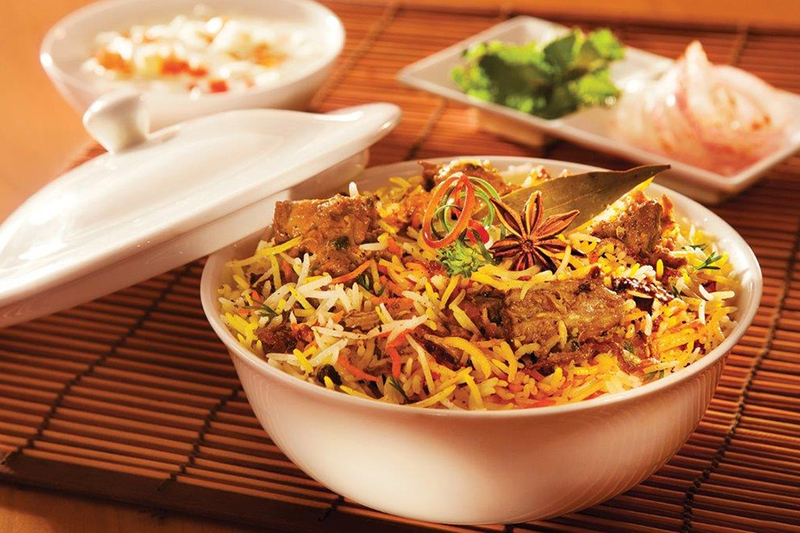 And if you have a biryani creation of your own, do share it with us here to get featured.